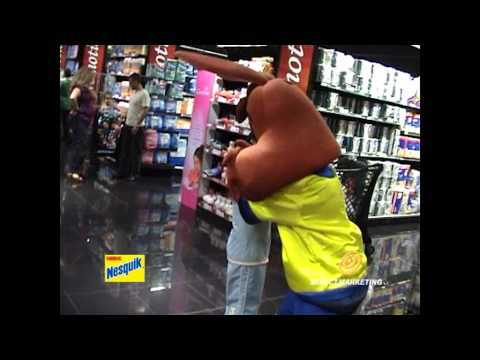 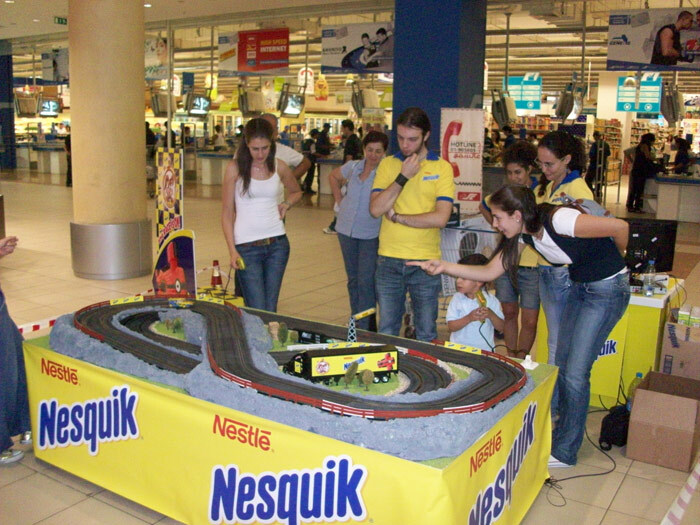 Nestle Nesquik | Activations & Events | Brands in Action | Direct Marketing S.A.
Over the years, we developed such a wonderful relationship with Nestlé that we worked on many of their campaigns, including the ones for Nesquik. 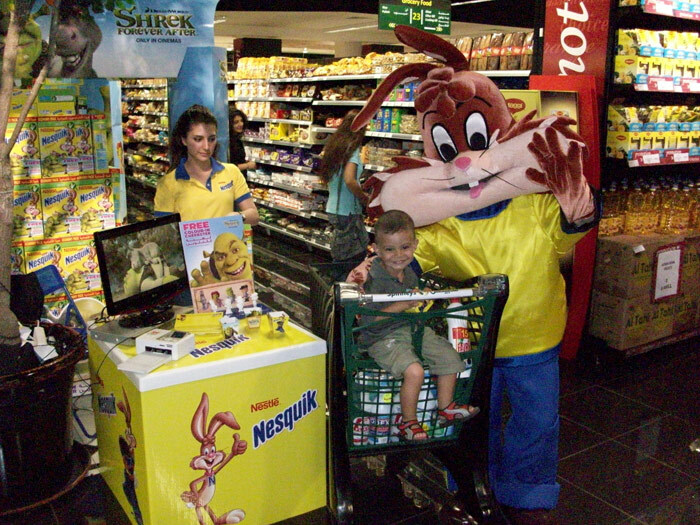 For each Nesquik campaign, we produced a special sampling container for the cereals. 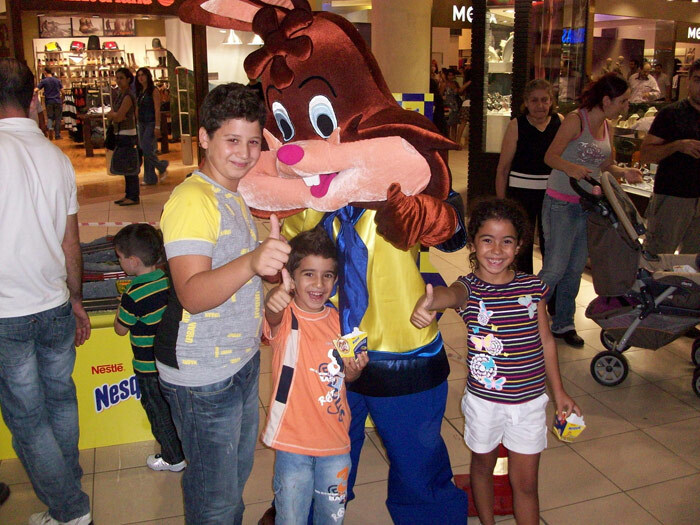 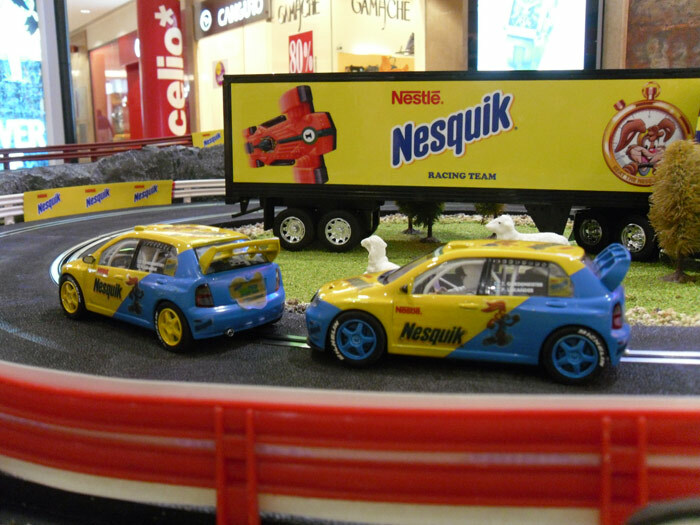 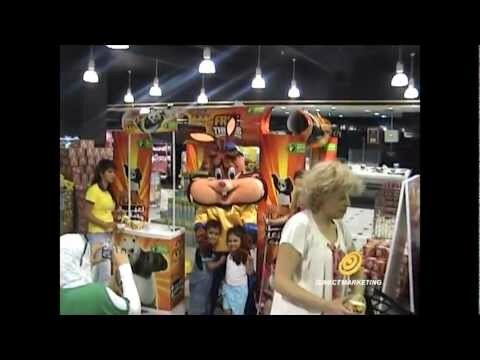 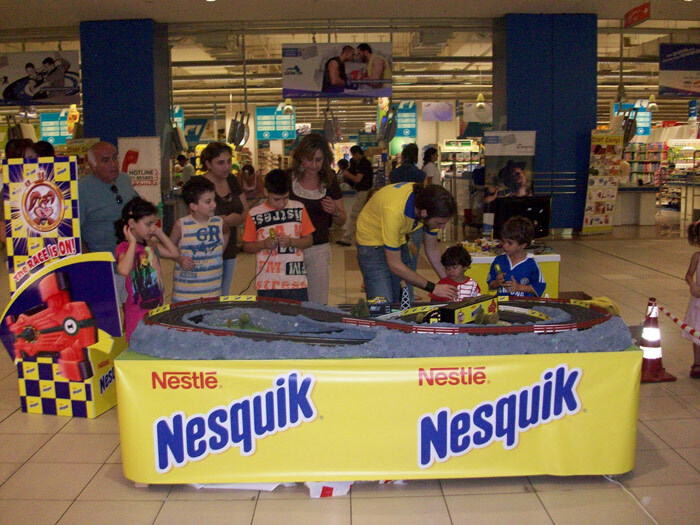 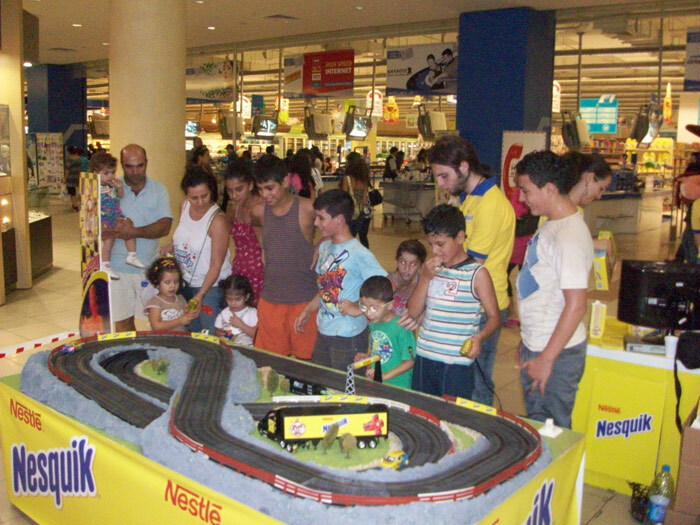 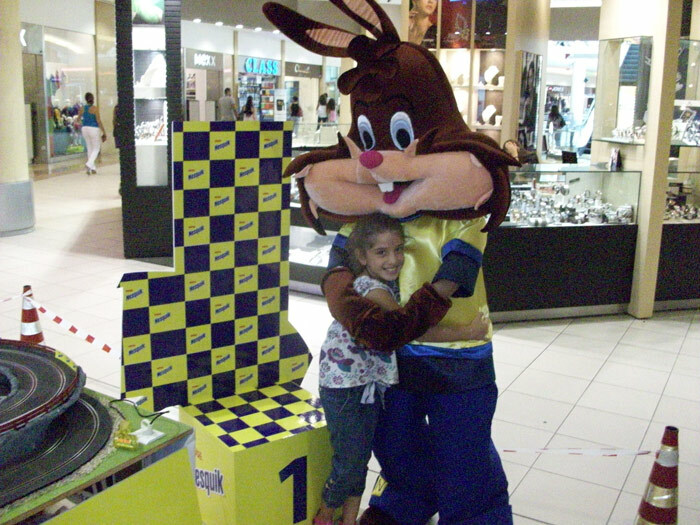 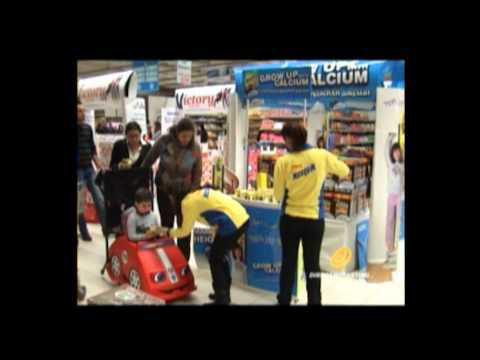 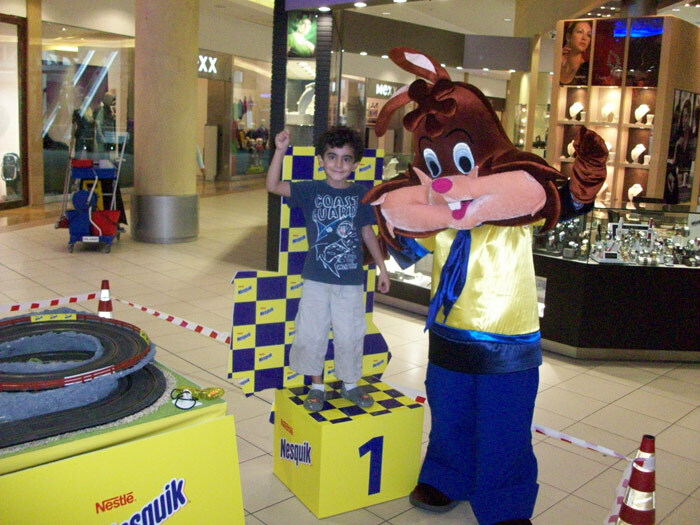 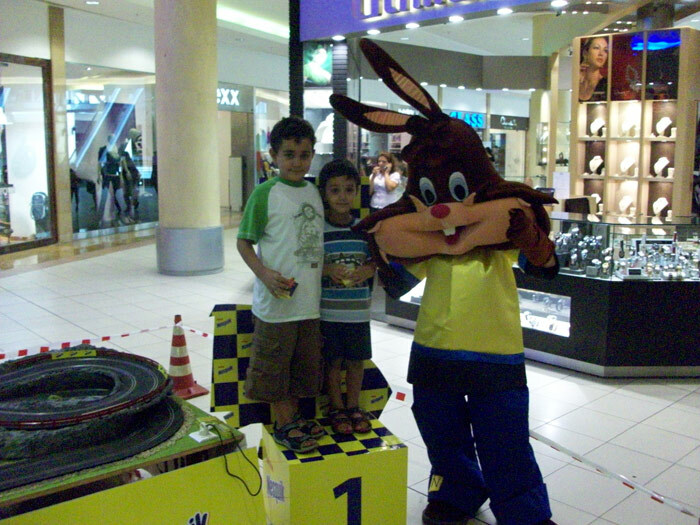 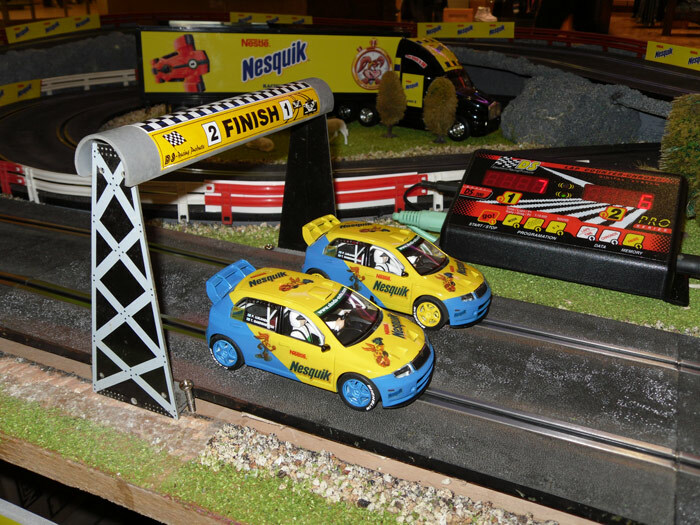 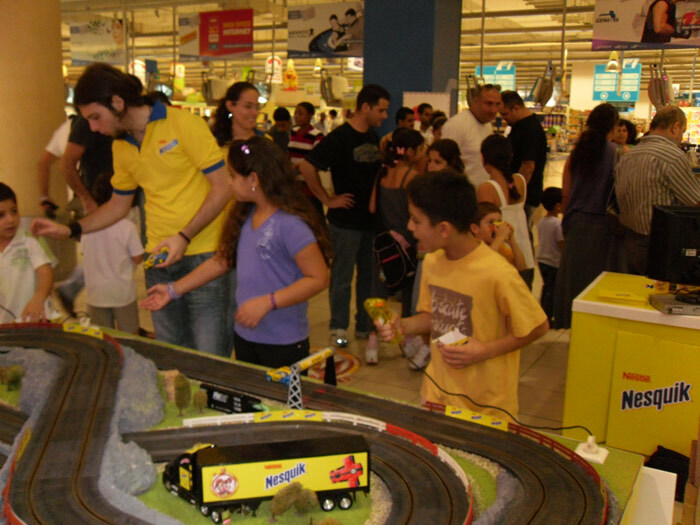 For the Nesquik Great Race campaign in Citymall, Dora, we built a branded racing track for kids to play with and win an instant Nesquik framed picture with Quicky, the Nesquik bunny. 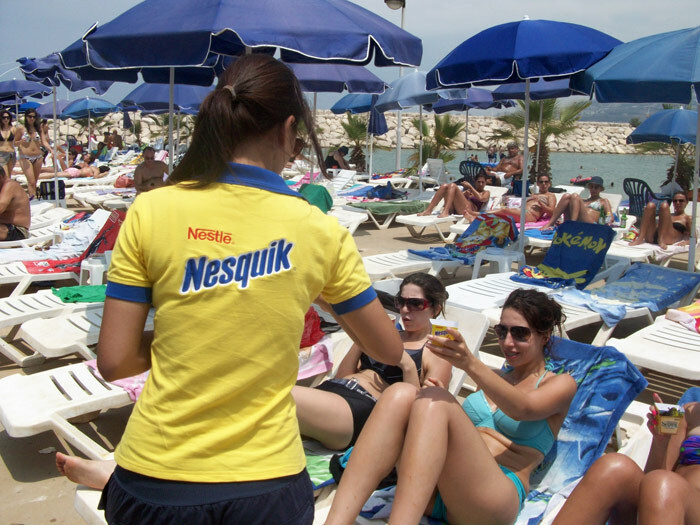 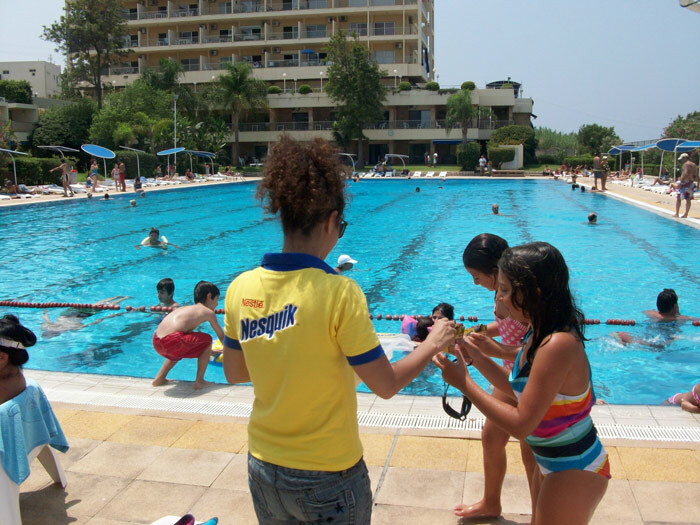 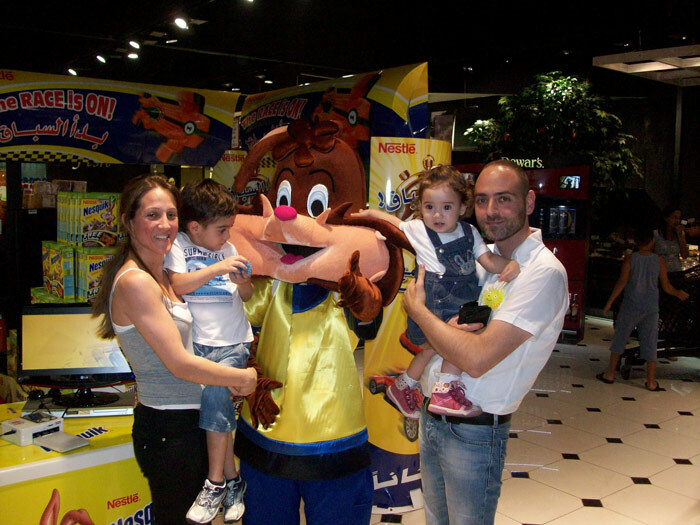 For the Nesquik Calcium News awareness campaign, we sampled Nesquik cereals among kids and young adults in movie theaters, beach resorts and summer camps. 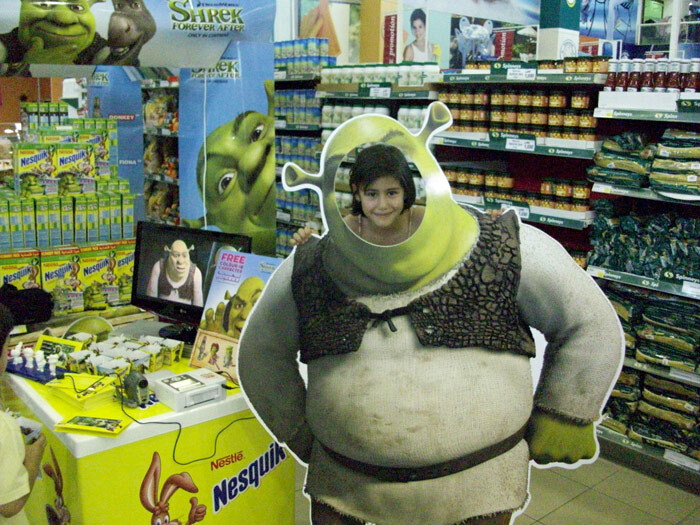 As part of its tie-ins with the animated film “Shrek Forever After”, Nesquik produced Shrek-themed cereals boxes sold with movie figurines. 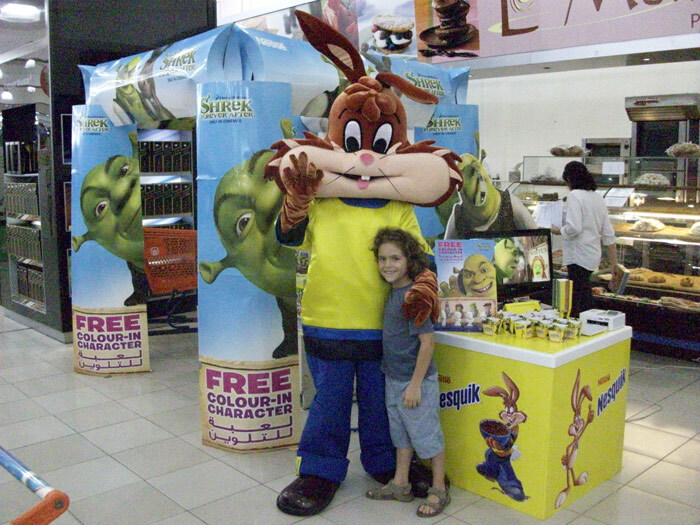 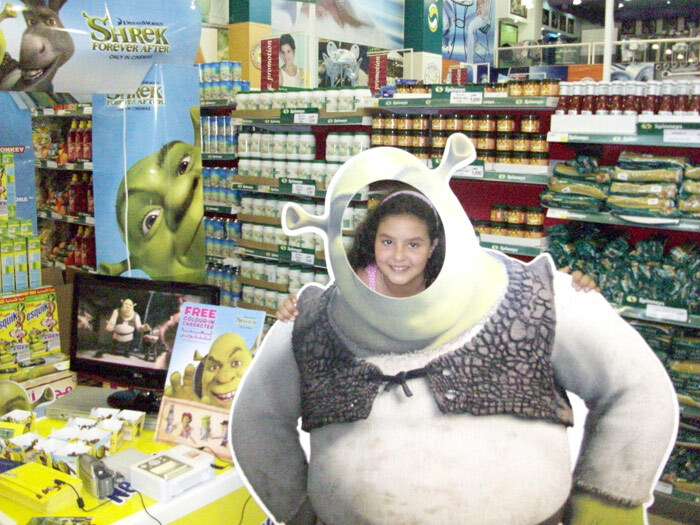 We adapted the designs to our sampling stand in key account supermarkets, and entertained kids with a life-size Shrek standee with the face cut out. 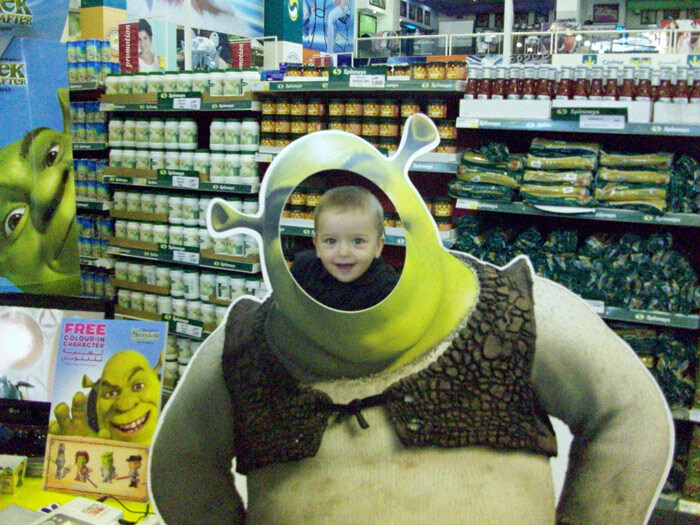 Kids could stand behind it, poke their face through the hole and have their picture taken. 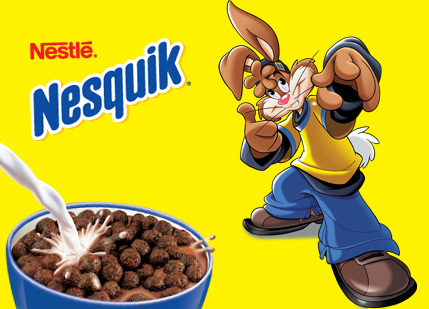 Nesquik did the same movie tie-in for “Kung Fu Panda 2”. 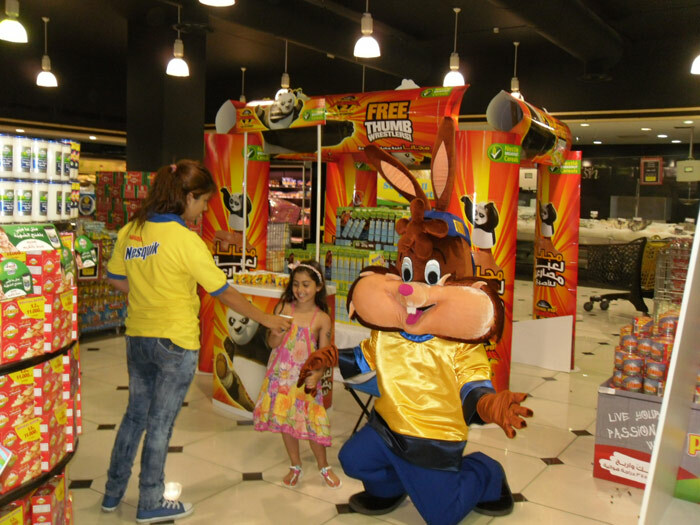 This time, too, we adapted the designs to produce our sampling stand for major supermarkets. 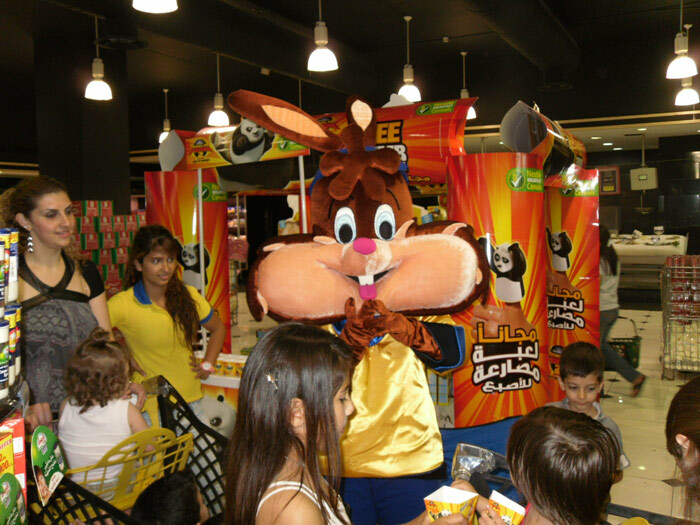 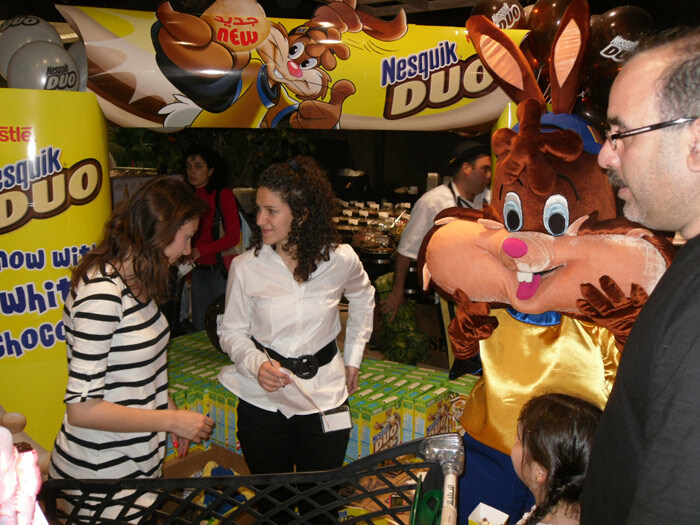 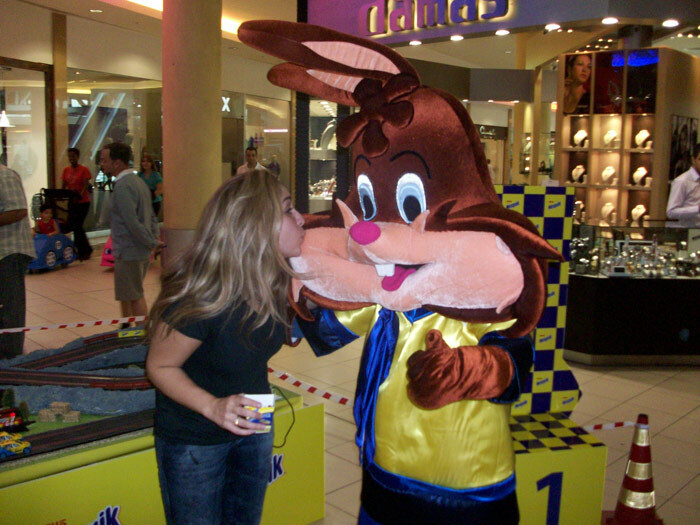 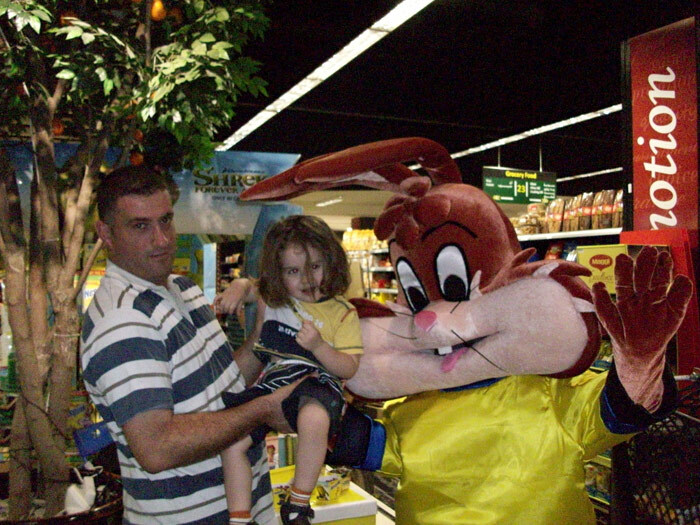 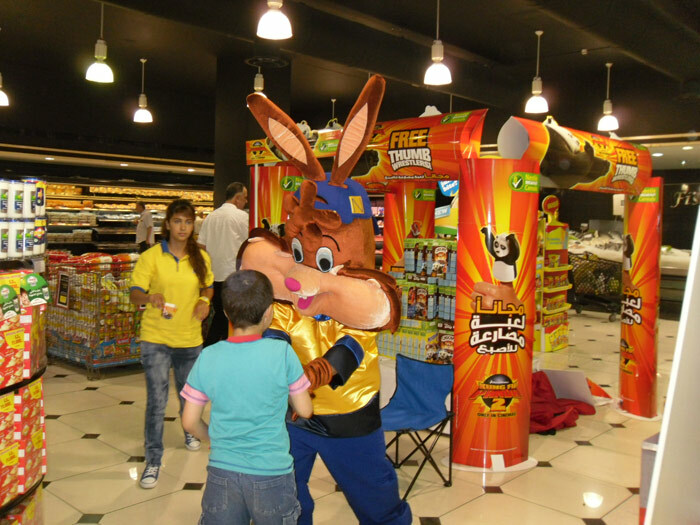 In all of the activities, Quicky, the Nesquik Bunny, was always on site to engage kids and their parents.